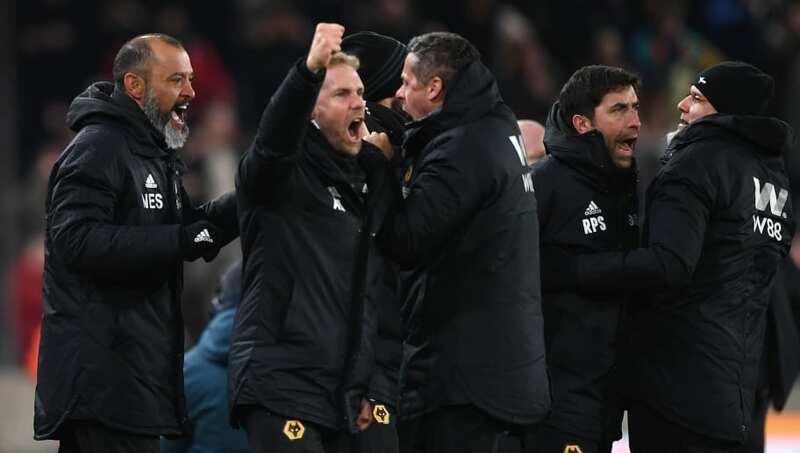 ​Wolves manager Nuno Espirito Santo praised the 'character' of his players after they resuced a point at home to Newcastle thanks to a 95th-minute Willy Boly equaliser. The home side looked to be heading for a surprise defeat after Isaac Hayden had put the Magpies in front with an hour gone. However, Boly's late intervention, which came in added time of stoppage time, ensured that the points were shared. Boly's late equaliser was not without controversy, as some claimed the defender fouled Newcastle goalkeeper Martin Dubravka before bundling the ball into the back of the net. Speaking to ​BBC Sport, the Portuguese manager said: "It came late, but the performance deserved goals. We created situations but the final touch was not there. It is something we must improve and be more clinical. Credit to ​Newcastle they were so organised. Last minute shows the character of the team. Asked if there was a foul on Dubravka in the lead-up to the goal, Espirito Santo stated: "I didn’t see the images yet. I will answer this question in the press conference of course. I don’t judge the work of the referees because it is so hard. The referees are so well prepared and must decide in a second. "We should have done better, but the effort in the last minute and the way they believed shows character. But we require a lot of improvement." ​Wolves will look to return to winning ways in their next match, which sees them travel to Bristol City for their tie in the Fifth Round of the FA Cup on Sunday, at 13:00 GMT.